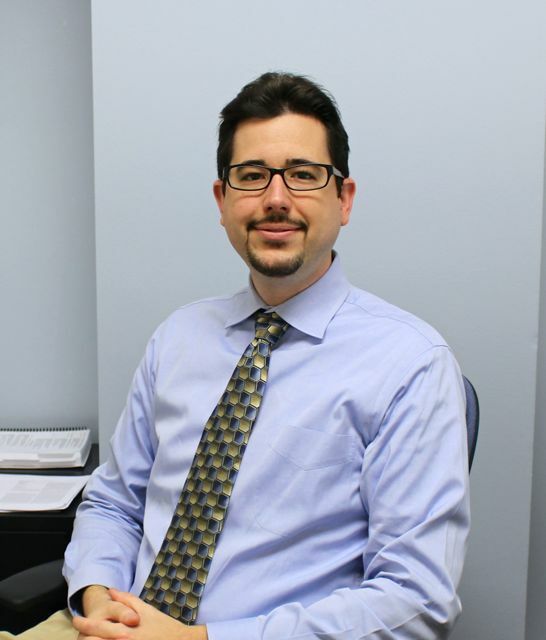 Dr. Sappenfield joined the University of Florida in 2013 after completing a fellowship in Trauma Anesthesiology at R Adams Cowley Shock Trauma. His main focus for teaching is as the director for the Airway Management Rotation for Non-medical Students. Using simulation, he teaches a variety of different subjects such as basic airway management, difficult airway management, technical proficiency with the fiber optic scope, central venous access, and ACLS in the operating room. 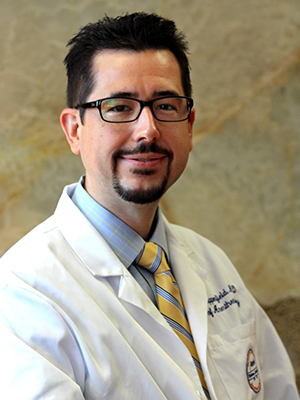 Dr. Sappenfield is clinical faculty at UFHealth, and is a member of the liver transplant team. As an editor for the Trauma Anesthesiology Society, Dr. Sappenfield has published a number of articles on the care of the traumatically injured. His research foci are on preoperative assessment, airway management in trauma, and teaching airway management. He continues to look for collaborators for future projects and studies. Sappenfield J. Josh’s Corner: Is there a physiologic reason for not intubating traumatically injured patients? A swine study investigating intubation in trauma model. Trauma Anesthesiology Society. January 14, 2015. Available at: http://www.TASHQ.org. Sappenfield J. Josh’s Corner: Is there a reason to give tranexamic acid in trauma? Deciphering the CRASH 2 study. Trauma Anesthesiology Society. November 14, 2014. Available at: http://www.TASHQ.org. Sappenfield J. Josh’s Corner: Should I be concerned about fibrinolysis shutdown? A retrospective study of trauma patients and their admission TEG. Trauma Anesthesiology Society. December 14, 2014. Available at: http://www.TASHQ.org. Sappenfield JW. Apneic oxygenation: why & how to give a non-breathing patient oxygen. JEMS. May 2013;38(5):44-5. Grissom TE, Sappenfield JW, Galvagno SM, Cherry SV, Chang YC, Hu PF. Performance assessment in airway management training for nonanesthesiology trainees: an analysis of 4,282 airway procedures performed at a level-1 trauma center. Anesthesiology. Jan 2014;120(1):185-195. Sappenfield JW, Galvagno SM, Blenko JW. Initial treatment priorities for the physiological optimization of patients with severe traumatic brain injury. OA Emerg Med. Aug 1 2013;1(1):2. Sappenfield JW, Hong CM, Galvagno SM. Perioperative temperature measurement and management: Moving beyond the surgical care improvement project. J Anesthesiology Clin Sci. 2013;2(1):8. doi: 10.7243/2049-9752-2-8. Rao VH, Singh RK, Delimont DC , Schaefer GB, Bridge JA, Neff JR, Sanger WG, Sappenfield JW, Buehler BA, Finnell RH. Interleukin-1 upregulates MMP-9 expression in stromal cells of human giant cell tumor of bone. J Interferon Cytokine Res. 1999;19(10):1207–1217. This is a short video with step-by-step instructions on how to place an awake IV using local. This movie also contains the set up and a close up on what a successful IV placement looks like. Click here to watch on Youtube. This video is a beginners guide to airway and intubations. Learn about proper positioning and the commonly used airway and rescue equipment when managing the airway. Click here to watch on Youtube.